I picked this book from the library and completed reading in few hours. I have read many books by Sudha Murty and each of her book is based on real life experience. One can imagine being in her shoes, the woman behind the success of the man she loved and who helped her husband to achieve his dreams. The story is of intellectual Shrimati who marries Shrikant, her classmate in school and also her neighbour. Though both families do not get along well, both marry and start a new life in Mumbai. Shrikant, being an ambitious man starts climbing up the corporate ladder at the cost of sacrificing his love. He was so much focused on career that he did not have time to speak to his wife about her likes and dislikes. Slowly, Shrimati realizes that her marriage had turned soar and Shrikant was not the same person whom she had loved in Hubli. His ambitions had changed him. In today's world, we see both husband and wife make careers and climb up the ladder but we also see that people have no time to share each other's emotions. The "love" that blossoms before the legal bonding soon disappears after the wedlock. When the couple speak, it's the finance and repaying loans. It is true, one can't get wealth, success, happiness and money at the same time. 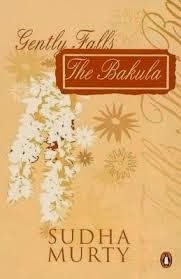 Though, Sudha had written this book three decades ago, this book is a perfect example of how most of us lead our lives.